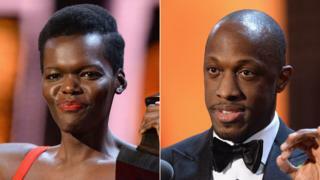 The 2018 Olivier Awards were presented at the Royal Albert Hall in London on Sunday night, with Hamilton picking up seven awards. Here is a complete list of the winners (in bold) and the nominees for the awards. Imogen Poots for Who's Afraid of Virginia Woolf? Imelda Staunton, Who's Afraid of Virginia Woolf?